For almost 90 years, the residents of the city of Peterborough, Ontario, have been relying on the Peterborough Utilities Group (PUG) for their water and electricity needs. PUG serves more than 35,000 electricity customers, 28,000 water customers, and employs approximately 150 professional staff and skilled tradespeople. Increasing workloads, growing regulatory requirements, and a tight budgeting environment were forcing the Customer Service Department at PUG to become a more lean and efficient operation. The Finance Department at PUG had already deployed the FileNexus® Document Management System with great success, so the Customer Service Department looked to FileNexus® to do the same. The FileNexus® Document Management Solution allows organizations the ability to capture virtually any type of document from any source (i.e. paper records, electronic files such as host generated reports, emails and so on), index and compress them for secure archival and future recall – providing a single cohesive repository for all document management, workflow and retention needs. The PUG Customer Service Department moved quickly to adopt the FileNexus® solution to capture and store client records such as customer accounts, service forms, field documents, payment processing etc. Since then, the department has seen huge savings in time and resources previously spent on the filing, retrieving and management of customer records. HR is the latest department within PUG to deploy FileNexus®. With the creation and implementation of a secure payroll web portal, PUG has eliminated the need to print, stuff and distribute employee pay stubs by having FileNexus® automatically capture and distribute payroll data. Employees simply log in with a unique ID to access, view and download their pay slip. 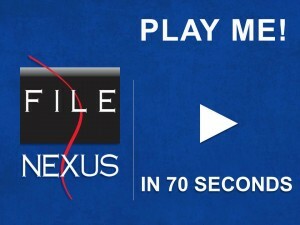 Moving forward, plans are afoot to deploy FileNexus® across the entire HR department. FileNexus® has delivered great savings in paper, filing, and storage space, with the electronic capture of such files as customer accounts, payment information, statements, service forms, corporate documents, field documents etc. Beyond these savings however, the convenience factor of having instant access to client data has greatly improved the level of customer service offered by PUG. 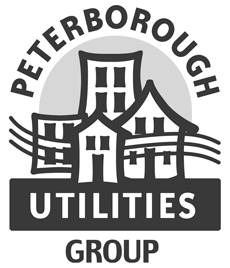 To learn more about PUG, please visit their website www.peterboroughutilities.ca. This entry was posted in Client Profile, Document Management, Utilities by admin. Bookmark the permalink.